Many heros feel they want a little extra help looking the full part that they wish to portray like this fine gentleman we have here. 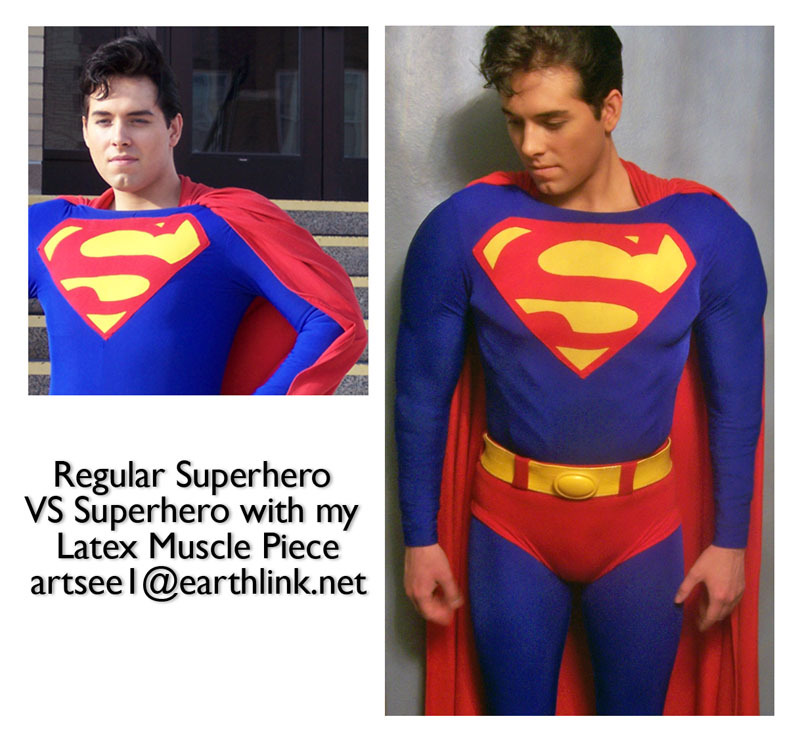 He looks like Superman, yes, but he chose to beef himself up even more than he already was by simply choosing to wear a latex muscle application piece under his outfit. Not necessary by any means but certainly a big difference if this is what you are looking for. This generic application piece is available if you have the need of it.